It could be Heliview Flights signature flight over the Cromwell basin, a visit to a stunning location where fine Central Otago produce is sampled, or a unique once-in-a-lifetime flight that’s been exclusively requested. For Richard and Jolanda Foale, Heliview Flights is a perfect fit for their skillsets and shared enthusiasm. Growing up in Kenya, Jolanda’s family holidays at hotels on the African coast sparked her interest in hospitality. Later she studied at Switzerland’s Gilon Institute of Higher Education—one of the world’s best hospitality schools. Born in Kenya, Richard followed his family’s passion for aviation when he was commissioned as a helicopter pilot in the British Army Air Corp. When the Foales moved to New Zealand, Richard flew on emergency and search and rescue missions before the couple established Heliview Flights. Central Otago offers the Foales a perfect fit of fantastic weather, friendly people and an awesome landscape. Exceptional experiences and quality interactions are at the heart of Heliview Flights operations. Jolanda and Richard pride themselves on offering a friendly, personalised experience that leads to lasting memories—from Jolanda’s first welcoming hello to Richard’s friendly on-board commentary. Whether it’s a spectacular scenic trip, a thrilling heli-mountain biking adventure, or a customised `often dreamed of’ flight over southern coast lighthouses (as has been requested), these are unique, memorable encounters with stunning, dramatic landscapes. Taking an inclusive approach to business is one of Heliview Flights core strategies. Primarily, Jolanda and Richard want their clients to have a great time. Yet they’re also keen to share opportunities with other southern businesses—partnering to develop flight packages that add value for clients, or suggesting holiday or adventure options that clients might enjoy. It’s about networking in a positive way so that everyone benefits. 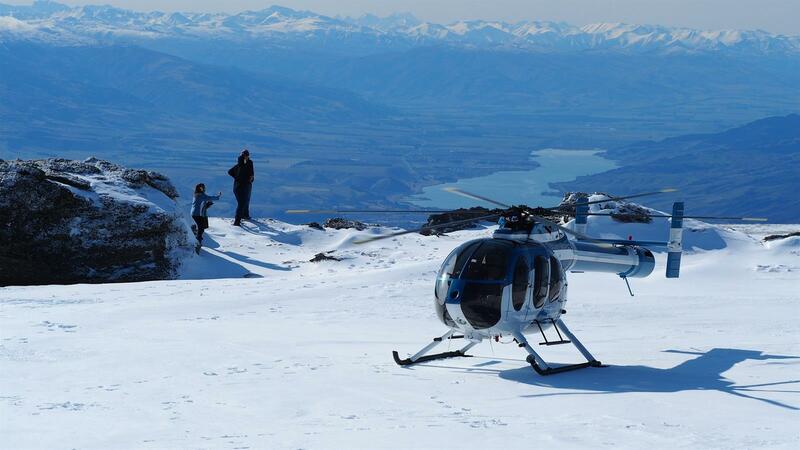 Central Otago offers the best flying weather in the country, Jolanda and Richard say. On a captivating big, blue-sky day, it’s a breath-taking, widescreen world when you’re flying high above southern New Zealand’s magnificent scenery. The mighty, awe-inspiring landscape is revealed as Richard shares stories of people and place.